Now in its fifth edition, this highly popular book offers the separating servicemember the most up-to-date information on planning a smooth transition (and translation) of military experience to well-paying civilian jobs. Includes experience assessment, job market, resume writing, interviewing tips, and benefits and salary negotiations. 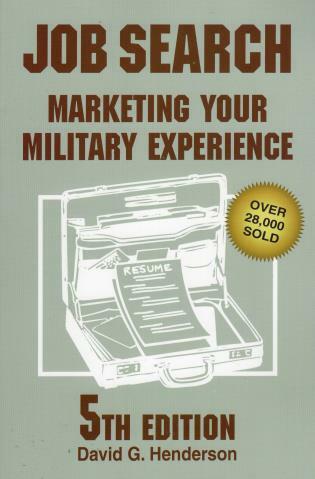 Includes new information on converging technologies, such as using the Internet, online job bulletin boards, and military career transition websites to make the most of your job search experience. David G. Henderson was a career Marine who later headed a personnel agency specializing in placement of servicemembers in civilian jobs.